I'd like to take some time to wish Jelynn a happy birthday today! So much has happened in the last year, and much more is coming on the horizon. If you any birthday messages for her, leave a comment here or go at her myspace . I know she'd love to hear from all of you out there. Also, I've updated the photo gallery with a lot of new photos, including some screenshots from the early episodes of The Drop. 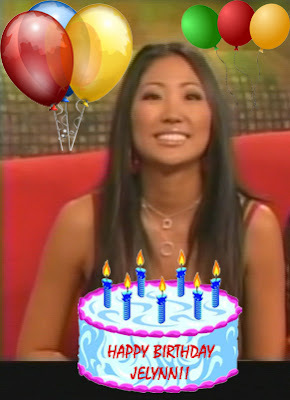 So again, happy birthday Jelynn! I hope you have a lot of fun celebrating over Labor Day weekend, how lucky of you.